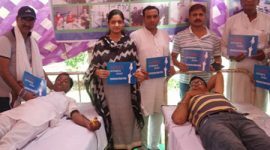 With the blessings of Her Holiness Satguru Mata Savinder Hardev Ji Maharaj, Sant Nirankari Charitable Foundation organized Humanness Blood Drive on 24th April, 2018 (Manav Ekta Diwas) in 81 cities (21 States of India). 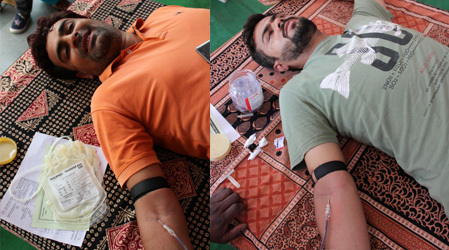 A total of 18900 Blood units were donated in a single day with in 5 hrs. 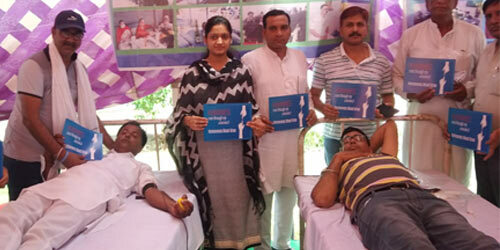 In Delhi, the Blood Donation Camp was inaugurated by Shri Satyendra Kumar Jain, Health Minister of Government of Delhi. 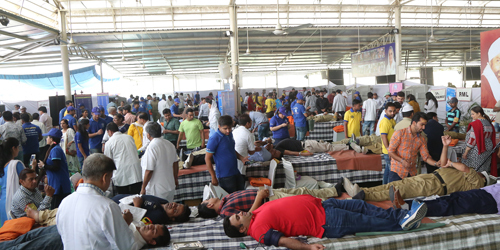 While complementing the Sant Nirankari Mission for having organized the camp at such a large scale, the Minister said that it was his first time having witnessed such a large Blood Donation Camp. The blood collection teams came from AIIMS Main, AIIMS CNC, Ram Manohar Lohia Hospital, Indian Red Cross Society, Dr. Baba Saheb Ambedkar Hospital, Lady Hardinge Medical College, Deen Dayal Upadhyay Hospital, Guru Teg Bahadur Hospital, Hindu Rao Hospital, G. B. Pant Hospital, LNJP Hospital, Dr. Hedgewar Hospital and Safdarjung Hospital. At this drive approx 60000 SNCF Volunteers, Sewadal, Sadh Sangat and general public participated to make this event successful.